Welcome to the Web Wigston community website a website for all local resident�s and business. 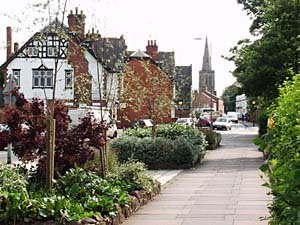 Oadby and Wigston is the smallest of Leicester's nine districts and is situated on the south-eastern side of the city. With a population of 55,795 we think the aim of this site is to provide a useful service for the community. Please browse the various sections we have put together. Have a try at our new Football Predictor today. Try to predict as many home wins, away wins or match draws from this weeks football fixtures.